If you are reaching out to assist someone in an emergency situation where danger is imminent and immediate help is required, please call 911 or the Pitt Police at 412-624-2121 immediately. Comprehensive crisis services for anyone residing in Allegheny County. Available 24/7. You will be connected to a skilled, trained counselor at a crisis center in your area, available 24/7. Telephone support provided to enrolled students after regular business hours. If you are a student experiencing crisis or are in distress, and there is not a risk of imminent danger, call 412-648-7930 to schedule an appointment or come into the UCC and state that you are in crisis. Once a clinician is available, they will meet with you for a brief screening to determine if there is a need for immediate intervention. Then, you may receive referral information for counseling either within or outside of the UCC. Every effort will be made to respond to your crisis situation as soon as possible. Students experiencing suicidal thoughts or impulses. Students experiencing homicidal thoughts or impulses. Students who have experienced a sexual or physical assault. Students who are hearing voices or misperceiving reality. Students who are dealing with overwhelming loss, such as the death of a loved one. Our Sexual Assault Services program offers specialized counseling services designed to assist students who have experienced sexual assault, dating violence, stalking, and harassment. If you have experienced a sexual assault, the Sexual Assault Services Specialist will be alerted to respond to your crisis as soon as possible. If you are in need of crisis support, contact our Sexual Assault Services Specialist at 412-648-7856, or contact Campus Police at 412-624-2121 or 811 from a campus phone. Individual counseling, group counseling, and crisis intervention are provided. These specialized services are coordinated and offered by the Sexual Assault Specialist, who has expertise in evaluating, treating, and addressing issues associated with sexual victimization. In addition, the Sexual Assault Specialist can assist you with obtaining medical, police, and judicial resources within the University and the local community. To access any of our specialized services within the Sexual Assault Services program, or to request a consultation, contact the UCC Coordinator of Sexual Assault Services at 412-648-7930 (8:30 a.m. -5:00 p.m., Monday-Friday) or 412-648-7856 (after 5 p.m. Monday-Friday or on weekends). 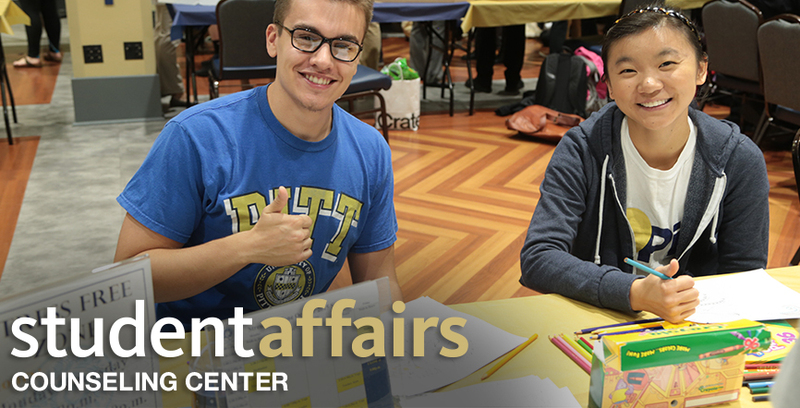 Visit the University of Pittsburgh Office of Sexual Harassment and Assault Response and Education (SHARE) for comprehensive information about programs and services.